Now Accepting Community Service Award Applications! 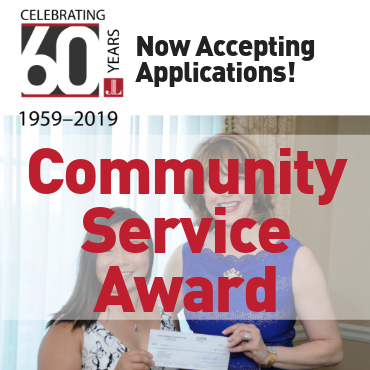 The Junior League of Greenwich Community Service Award is granted to a young woman in grade 9-12, who either lives in Greenwich or attends school in Greenwich. The Community Service Award Winner(s) will be recognized and presented with a monetary award of $1,000 at the Junior League of Greenwich Annual Dinner in May. THE DEADLINE FOR APPLICATIONS IS FRIDAY, MARCH 8, 2019!